All-Event Ticket Packages to the 2020 U.S. 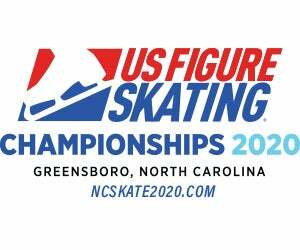 Figure Skating Championship to be held January 20-26, 2020, at the Greensboro Coliseum Complex in Greensboro, NC, go on sale to the general public on Friday, Jan. 18 at 10 a.m. Tickets may be purchased at ncskate2020.com, Ticketmaster.com, the Greensboro Coliseum Box Office and Ticketmaster’s charge-by-phone system at 1-800-745-3000. All-Event Ticket Packages provide the ticket holder with admission to every competitive event of the 2020 U.S. Championships and the Skating Spectacular.